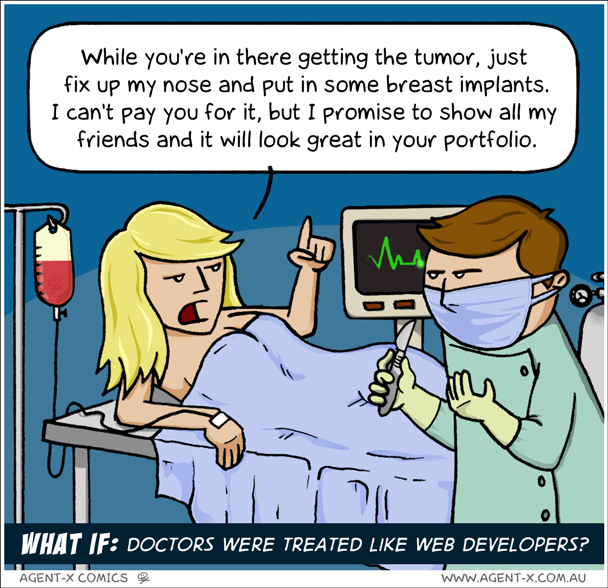 What if Doctors were Treated Like Web Developers? – Customers would not tell a mechanic to throw in free extras just because they are in the engine anyway. 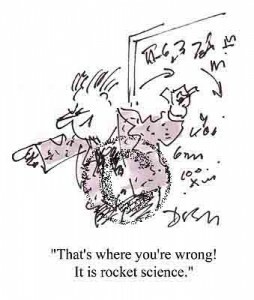 – Clients would not ask an architect to totally redesign a building plan once it is done, by 9am the next day, because their 6yr old son did not like it. 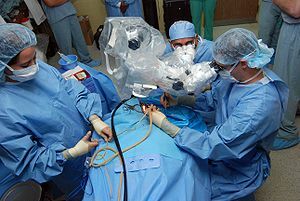 Should We Take a Global Sourcing Approach to Meeting the Need for Doctors?